J. Sterling Morton of Nebraska founded National Arbor Day in 1872 as an observance that encourages people to plant trees and to take care of existing ones. 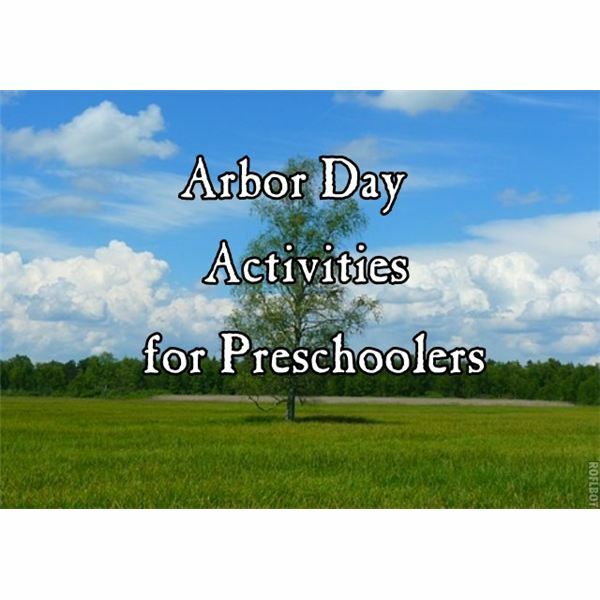 This holiday is celebrated on the last Friday in April each year, so this is a perfect time to start exploring trees and introduce Arbor Day preschool activities to the children. There’s so much that children can learn from trees. If allowed, plant a small tree in your schoolyard to nourish and watch its growth throughout the years. See how it changes during the seasons. Tell the children that they can choose a tree to adopt (all the children can adopt the same tree if necessary). Once they have decided on their tree, help the children get to know their tree better. Encourage each child to kiss his tree. Ask them to smell the bark, leaves, pinecones, flowers and acorns. Have each child explore the tree carefully with her eyes. Then, if possible, let the child look at parts of the tree with a magnifying glass. Let each child explore his tree carefully with his hands and even feet. Feel the bark, leaves, twigs and buds. Pass out paper and invite the children to draw a picture of their trees. If possible, let them draw while looking at their trees outdoors. Have each child name their tree (teacher can write the name on this sheet). The children can draw pictures of the animals or insects that live in their tree. Have the children visit their tree and find a piece of bark to paste on another sheet of paper. Alternatively, show the children how to put the paper up against the trunk and make a rubbing of the bark with a crayon. Help each child measure the trunk of her tree with a piece of yarn. They can glue this piece of yarn to a page in their book. Finally, have each child find a fallen leaf from her tree and glue this to a sheet of paper. If possible, visit this tree during all four seasons to collect a leaf. Bound all these pages together between construction paper to make a book. Many trees produce fruits and nuts that make good food for us to eat. Encourage the children to find pictures in magazines to make a “food from trees” collage. Hold a “tree food day” and serve fruits, nuts, apple or orange juice and other snacks from trees. Invite the children to use their bodies and pretend they are trees. Play music and have these pretend trees sway back and forth in the breeze using their arms. When the music stops, the children must freeze into a tree shape (like an upright trunk). These Arbor Day activities will help teach young children about trees and this important observance. As we are trying to become more eco-friendly, saving our trees is an important factor in our lives. Youngsters should learn how to plant trees, nurture trees and love trees – they will save the Earth!